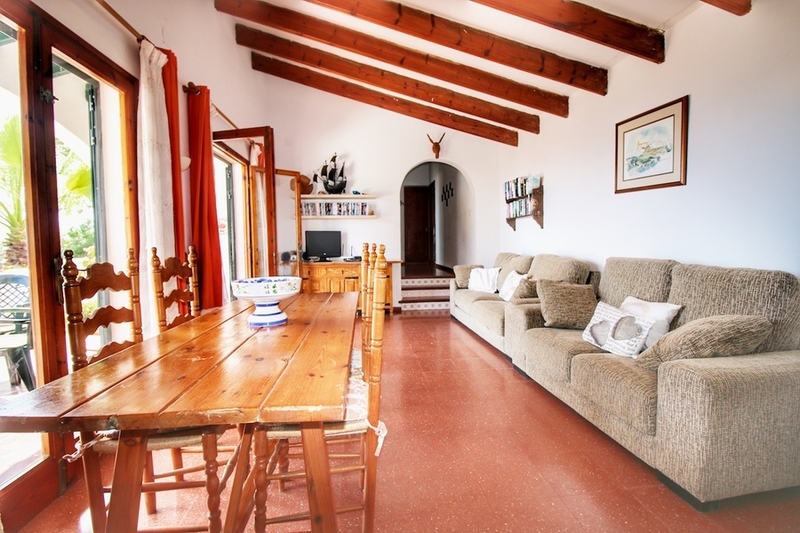 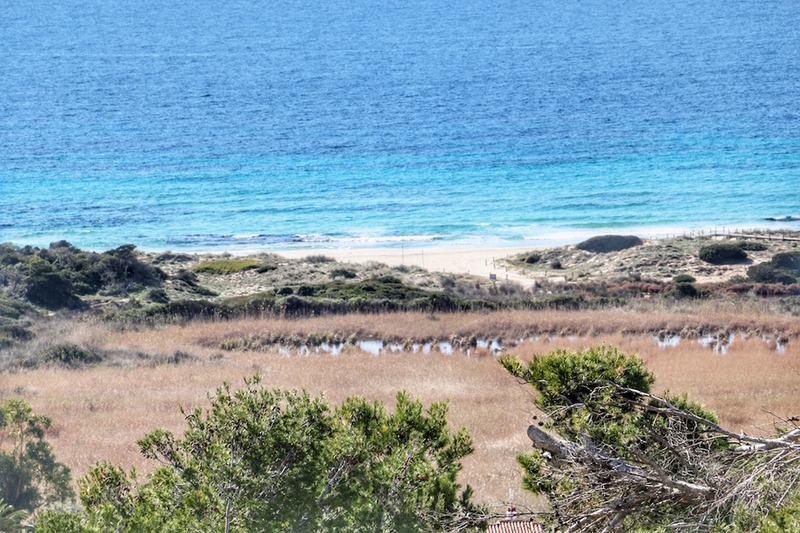 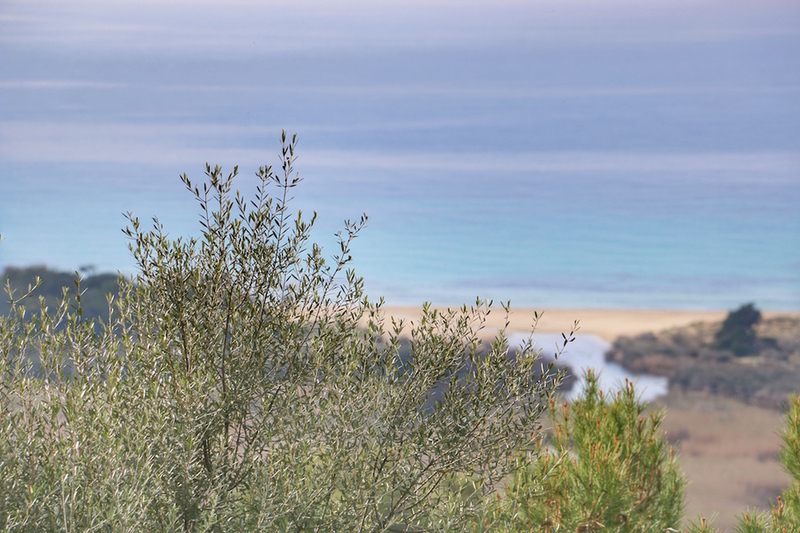 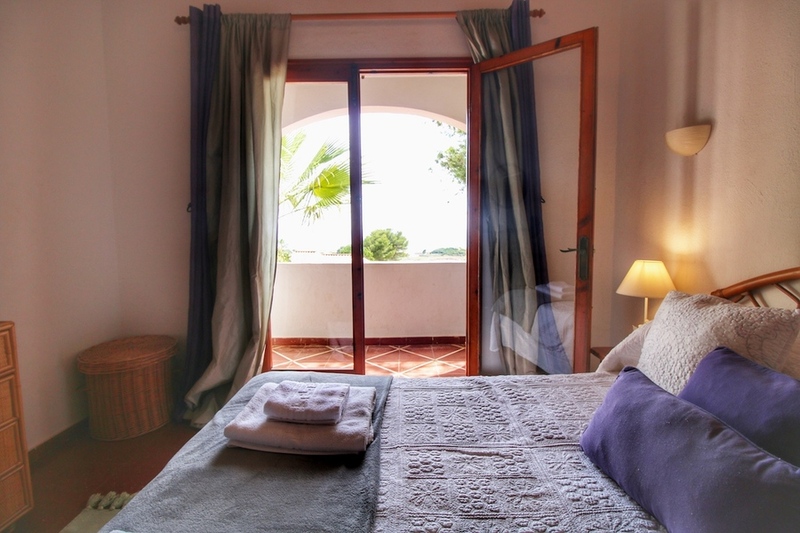 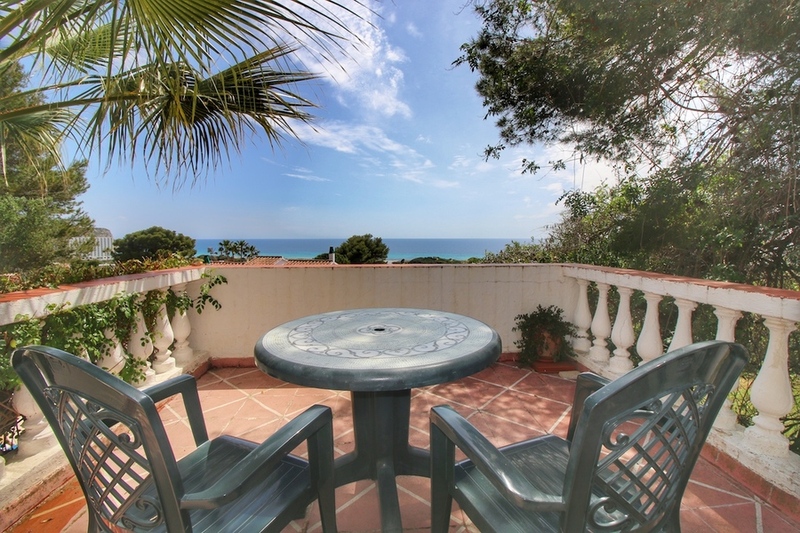 LEGAL TOURIST LICENSE OBTAINED - Located close to one of the BEST SANDY BEACHES in Menorca, this charming 154m2 built villa boasts fantastic SEA and beach VIEWS from its hillside position. 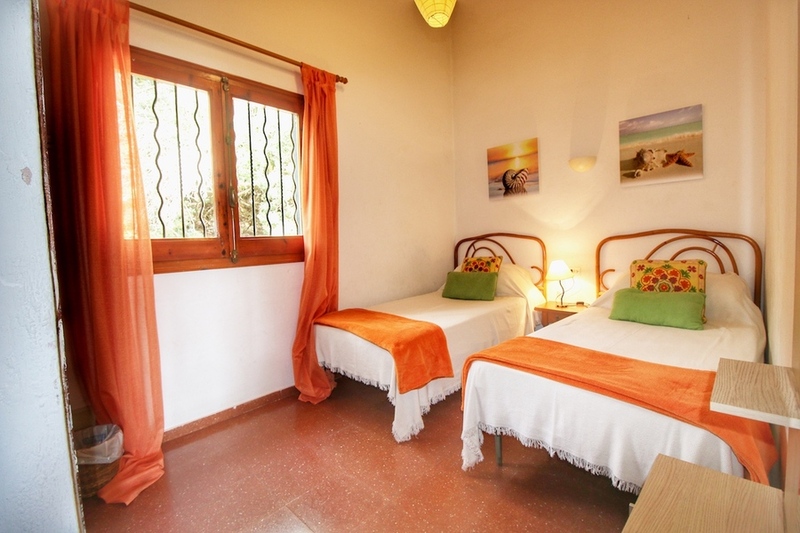 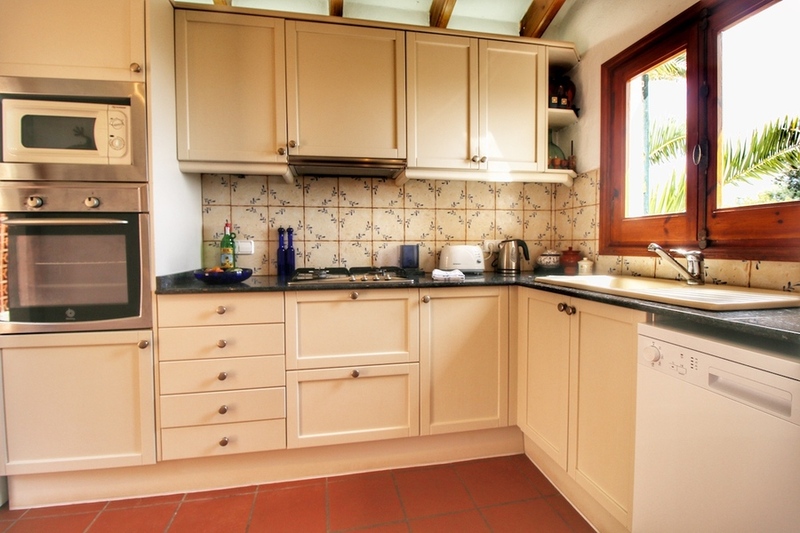 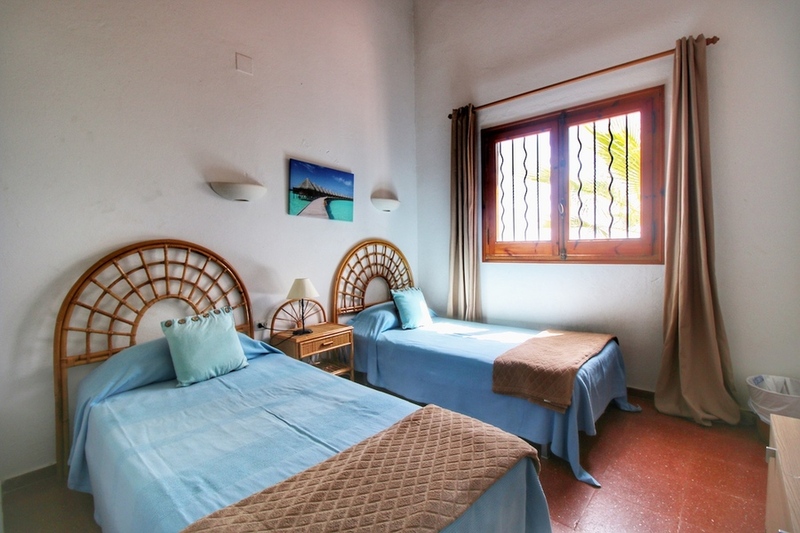 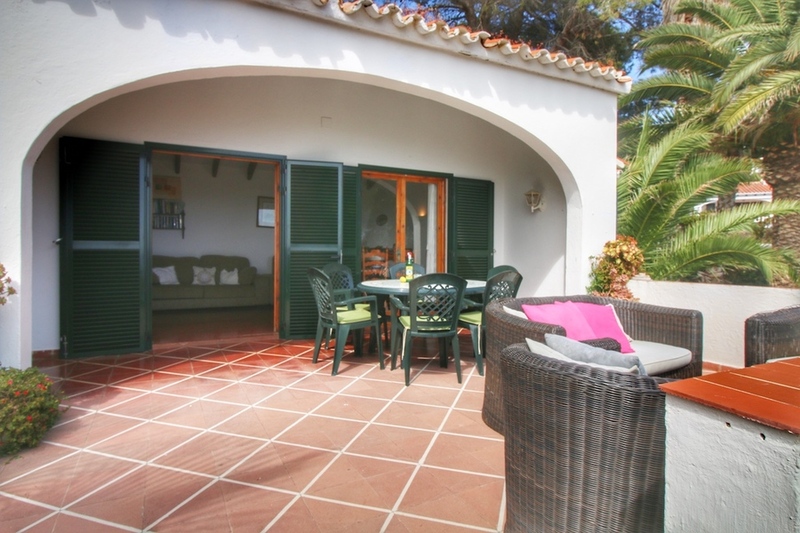 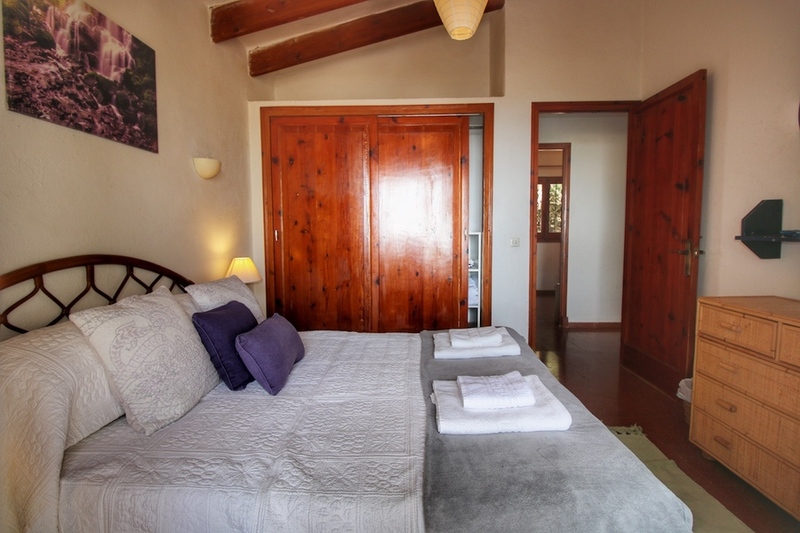 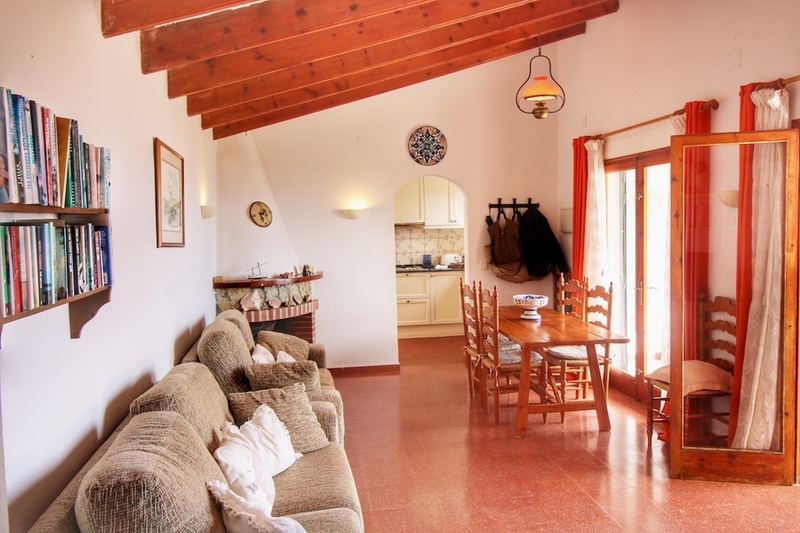 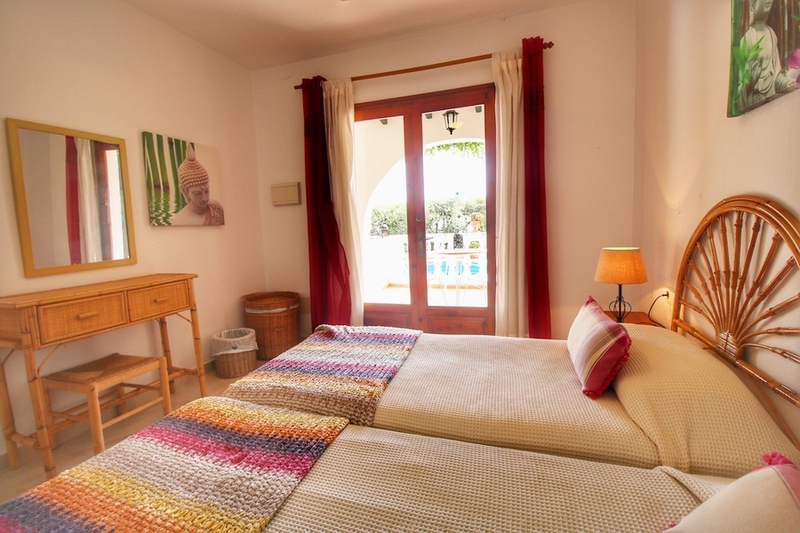 The house provides absolute PRIVACY, being surrounded by a lovely mediterranean garden. 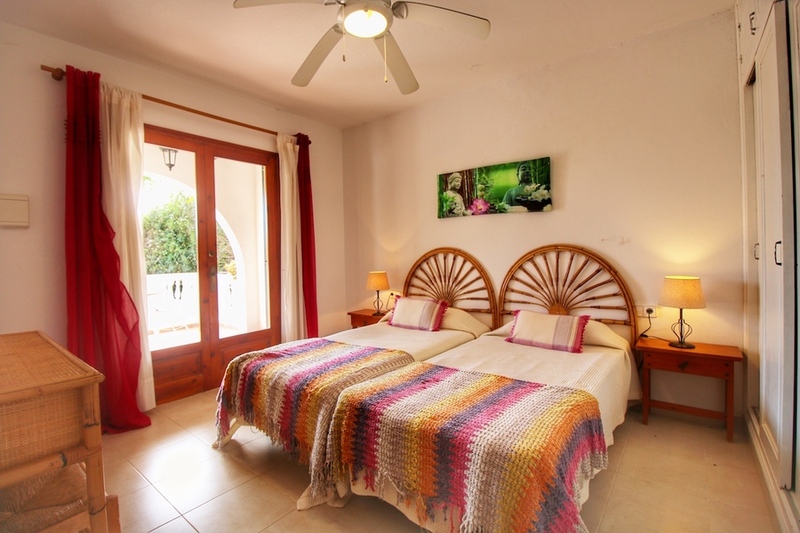 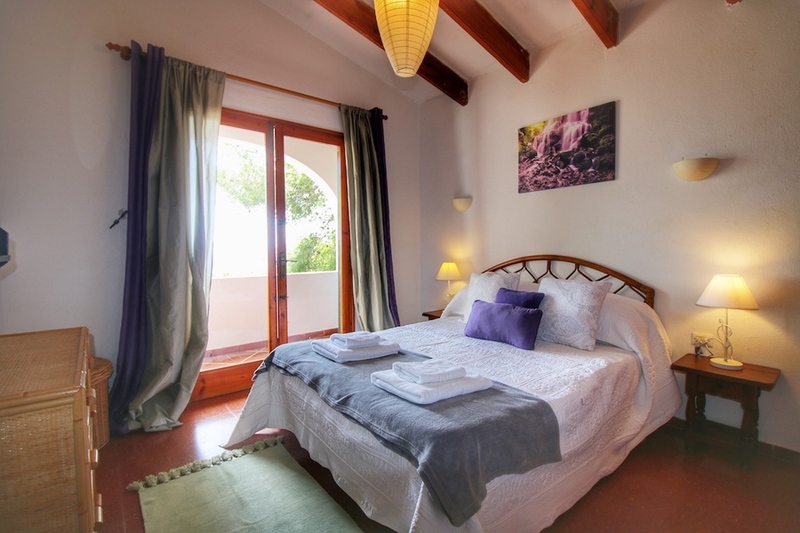 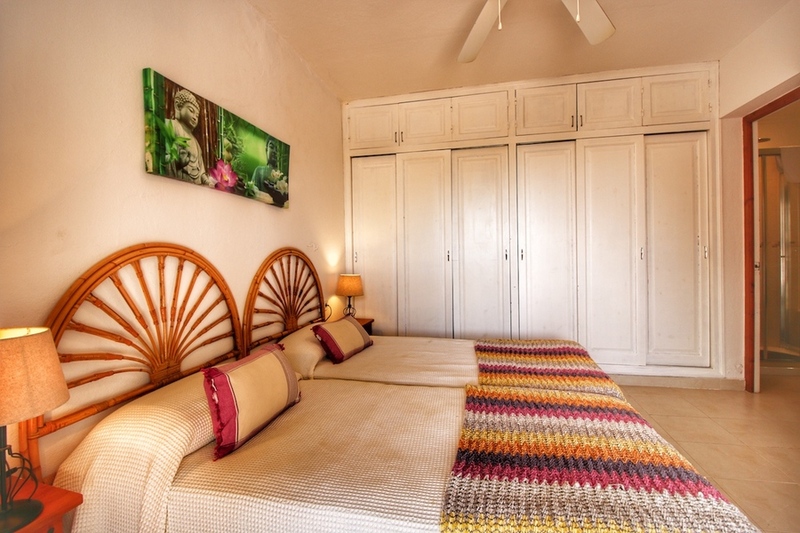 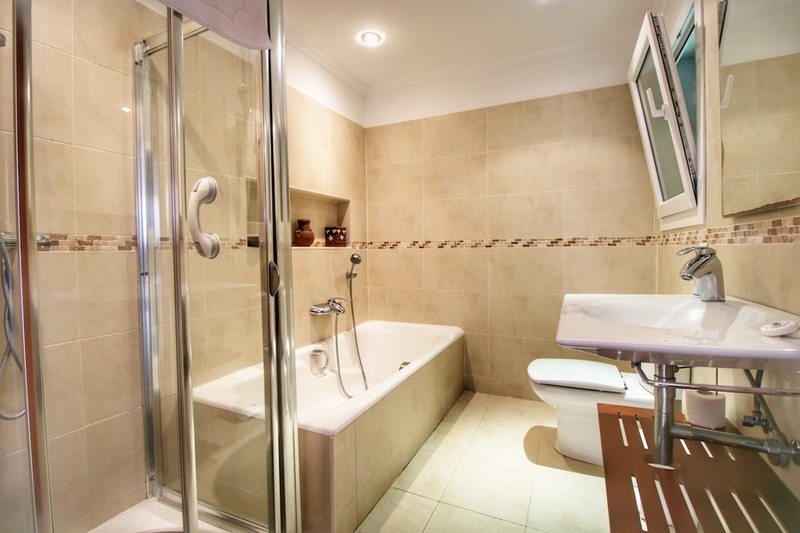 Built on 2 floors the villa comprises: First floor with large lounge/dining room with fireplace,, kitchen, 3 double bedrooms all with fitted wardrobes and 1 newly refurbished shower room. 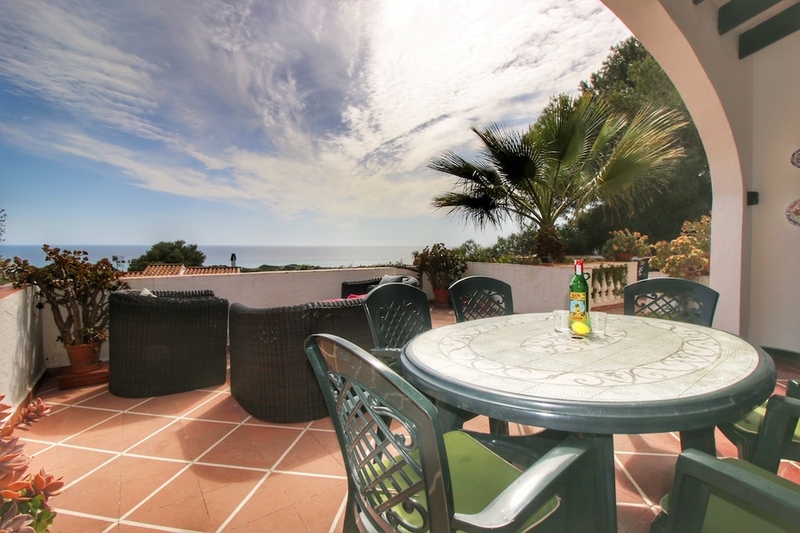 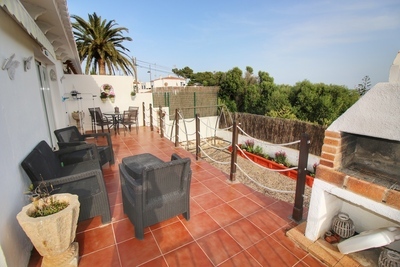 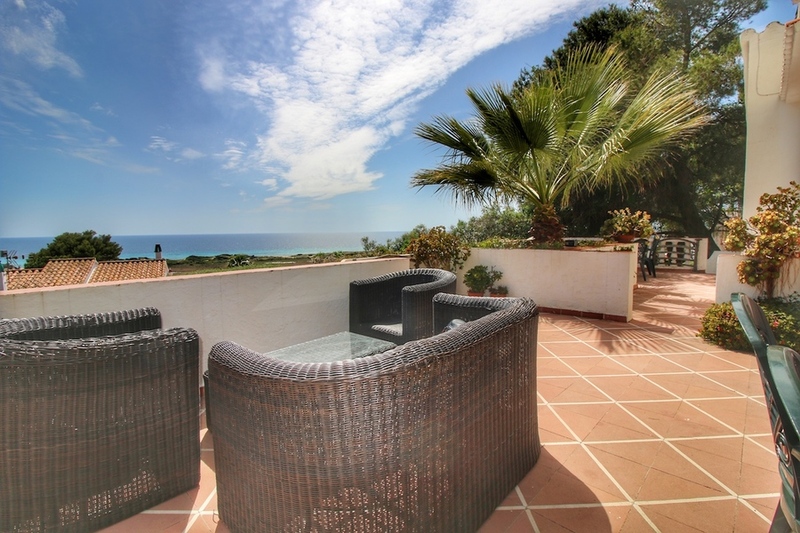 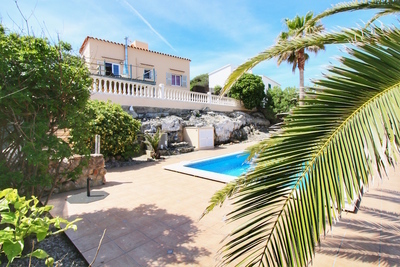 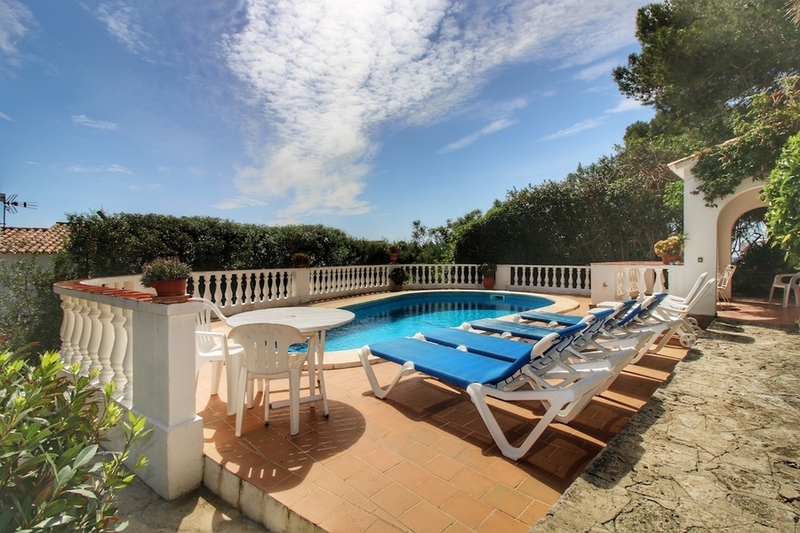 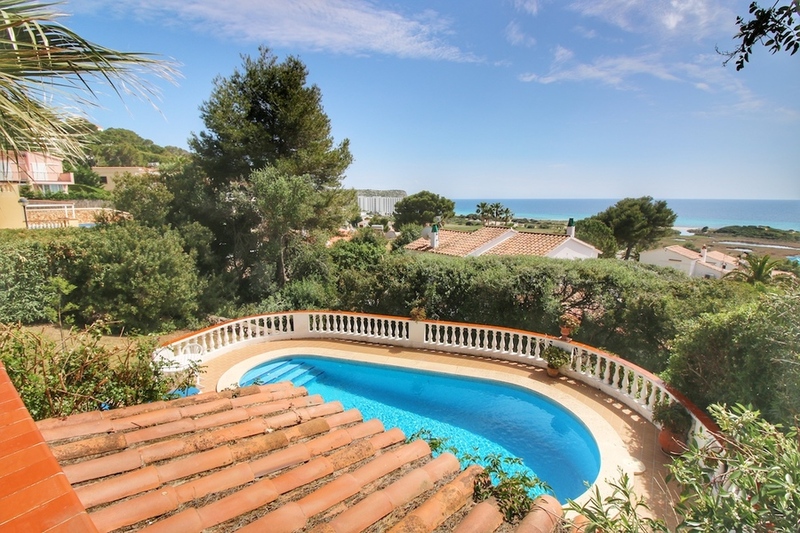 There are also 2 fantastic terraces with pool, beach and sea views. 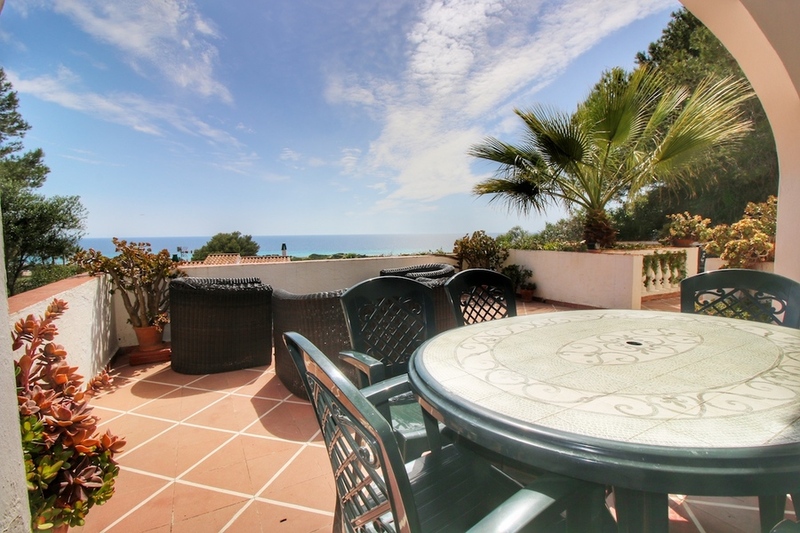 The ground floor comprises a double bedroom with en-suite bathroom with built in wardrobes and patio doors leading to a terrace with the more sea views. 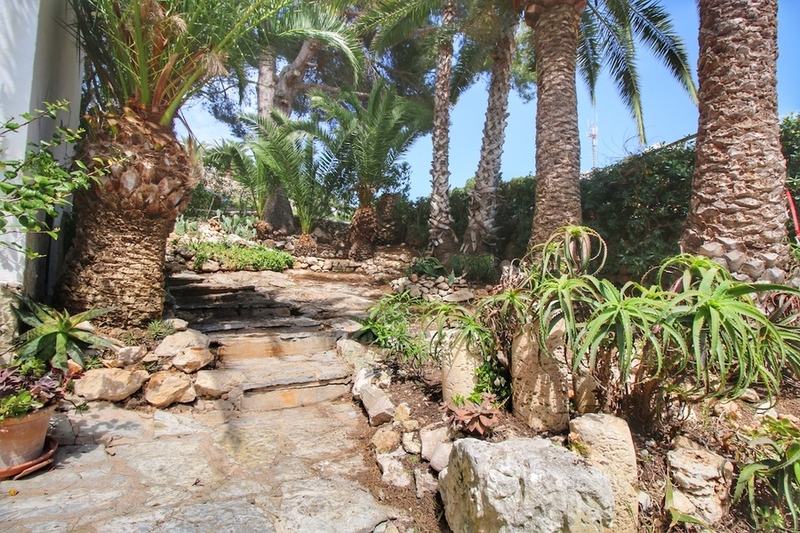 The garden has palm trees and many mediterranean plants which provide shade from the summer heat and privacy from the neighbours. 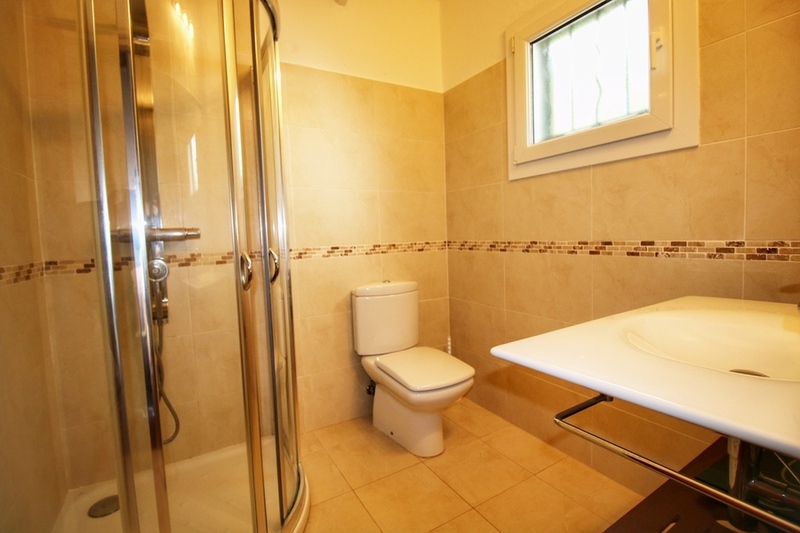 A 6x5 metre garage provides plenty of room for a car, bicycles and storage and a driveway provides more parking. 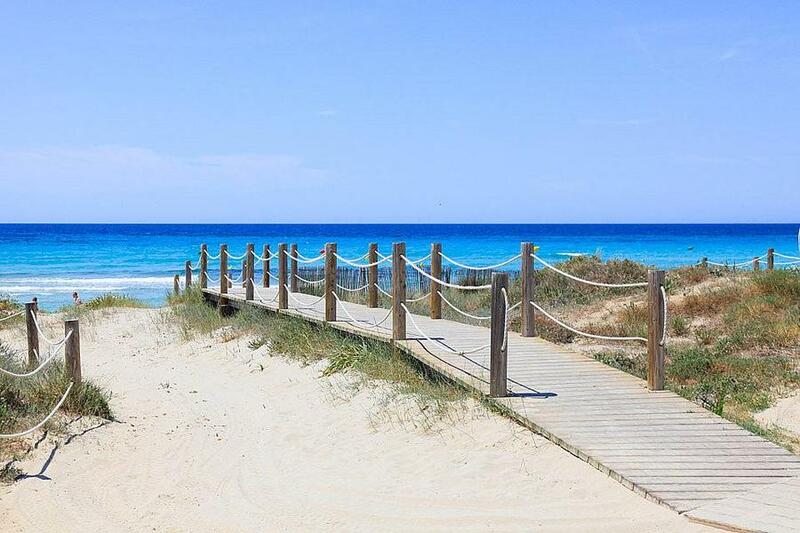 The beach is a 10 minute walk or 2 minutes in the car. 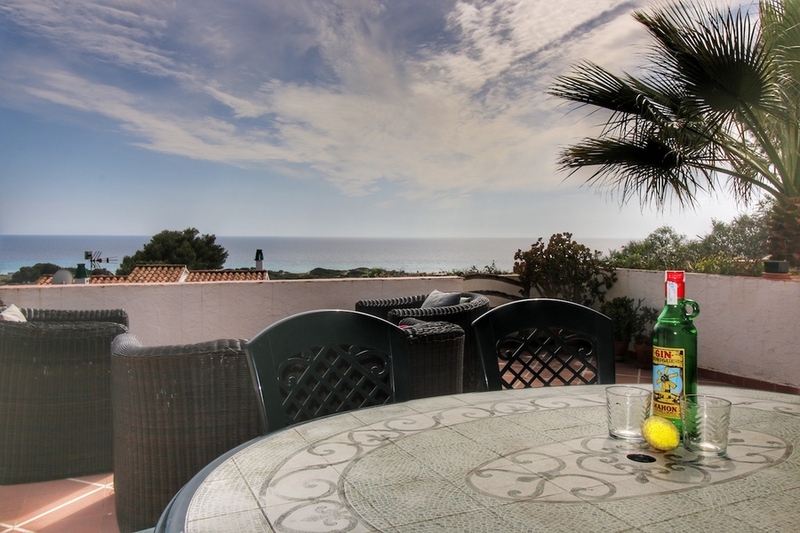 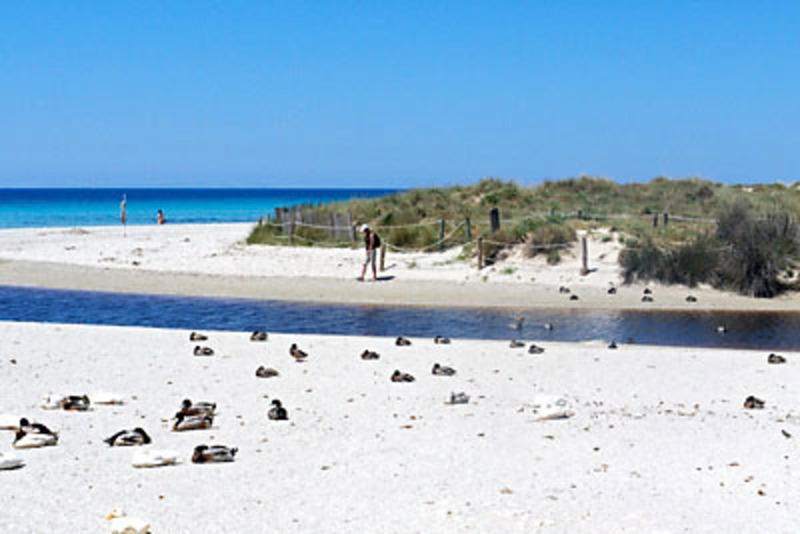 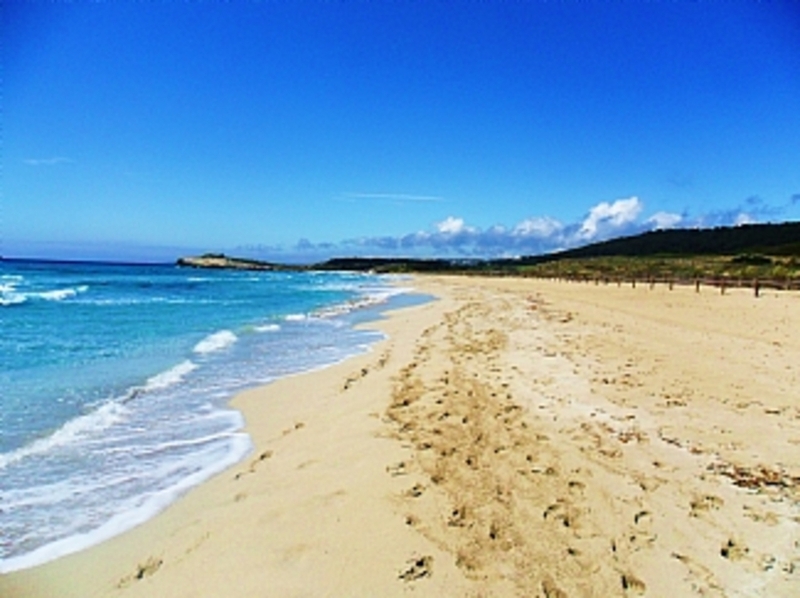 The sea front resort has everything you need for a fantastic holiday including bars, restaurants, shops, supermarket, bowling, bicycle hire, water park and a bus that will take 20 minutes to Mahon, the Capital of Menorca.